Episode 015 ROASTS - Matt Maran: "Every technique in comedy can be used in a roast" – Let's Talk About Sets! 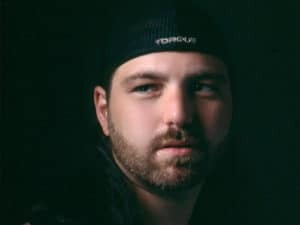 Episode 015 ROASTS - Matt Maran: "Every technique in comedy can be used in a roast"
Commissioner and co-founder of NYC Comedy Fight Club, Matt Maran, dropped by to slice up comedy ROASTS. We had so much fun recording this episode that we all limped away with busted balls. Matt shared his comprehensive knowledge of roast jokes, roast formats, roast sets, and roast techniques. How do you roast someone you don’t know? What makes a good roast joke? What’s the difference between a roast set and a roast battle? And we listened to unbelievably well-wrought roast sets by three of the greats. Matt Maran is a New York native, a Jew from Queens with some serious joke writing chops. 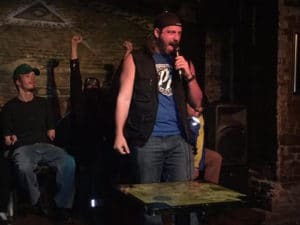 His signature sleeveless look comes from a brief stint as a pro wrestler, and his comedic style is heavily informed by his love of comedy roasts. He’s the host and co-creator of New York City’s Comedy Fight Club, currently in residency at Lucky Jack’s on Orchard Street in Manhattan. It’s the down and dirty breeding ground for the craft of writing and performing roast jokes in the New York stand-up scene. Open to all levels, you can see it all, from terrified newbies who’ve never even roasted a turkey to deep-cutting pros using it as a sparring dojo for a Comedy Central roast battle. And a huge thanks to to our guest, Matt Maran! You can watch Comedy Fight Club NYC live every Sunday night on Periscope, the link to which is below. Special thanks to Greg Giraldo’s undead sense of humor, Bill Burr and Gilbert Gottfried for their unwitting and critical participation in this episode. And as always, big loving, rather uncomfortably long hug for Salt N Peppa for the fair use of their classic song, which I’m sure no one can recognize after all the remixing I’ve done.